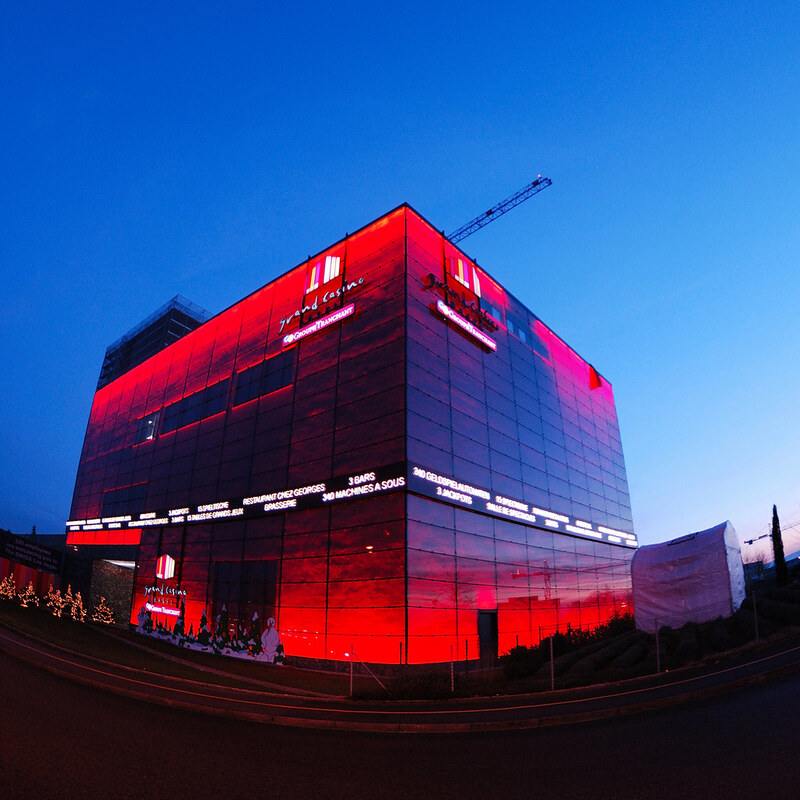 Media facades are relatively new concepts however, they have become increasingly popular in recent years. 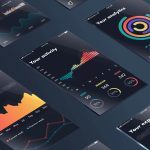 These uncannily innovative ways of combining modern design and architecture, have proven to be a successful way for businesses looking to attract consumers, or to showcase a specific event. 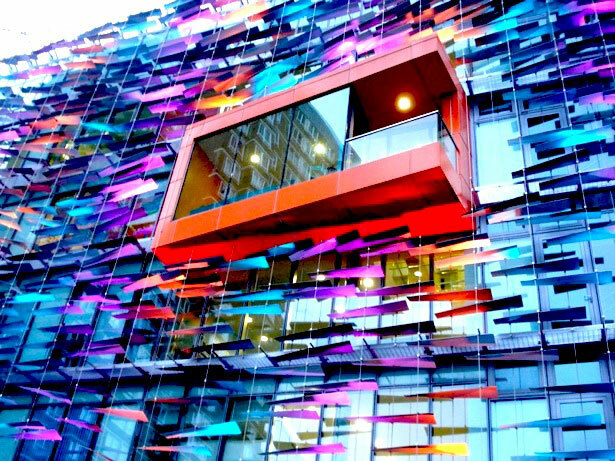 In this article, we feature a collection of over 30 dazzling, and sometimes interactive, media facades from around the world. 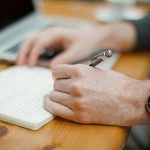 Do you know of any other good examples? Please share them with us in the comments section below. 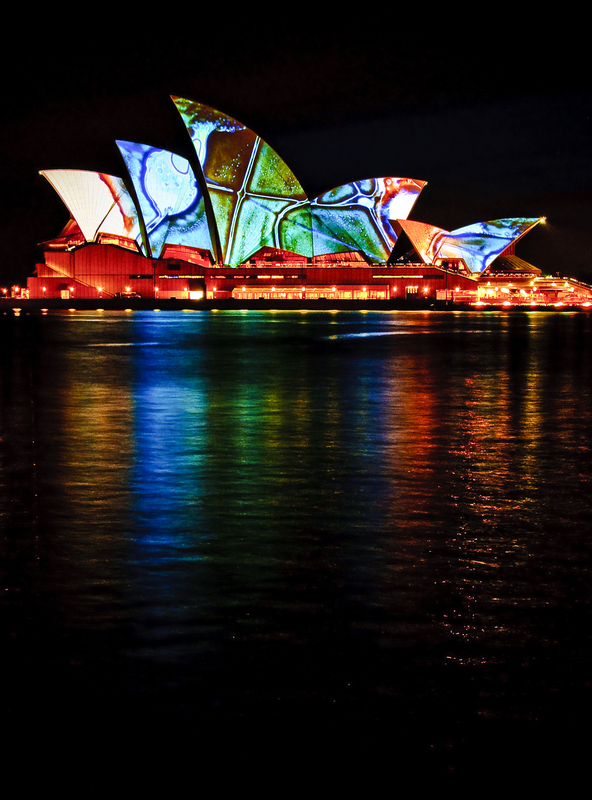 This installation on the Sydney Opera House was designed for Luminous – part of the Vivid Sydney Festival and SmartLight Sydney. 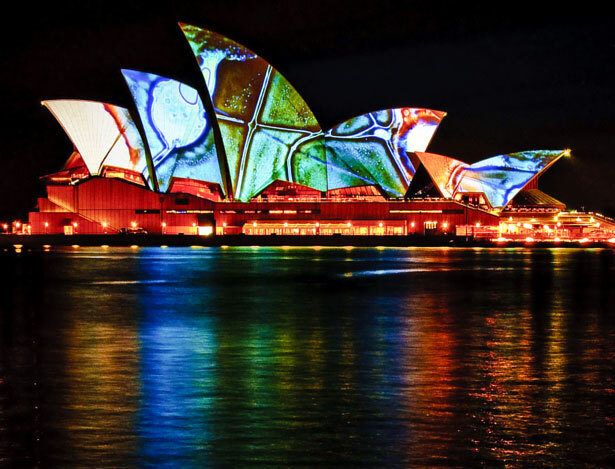 Selected paintings from a significant body of work were projected, with no repeats, onto the opera house for 21 days, using video projection technologies. 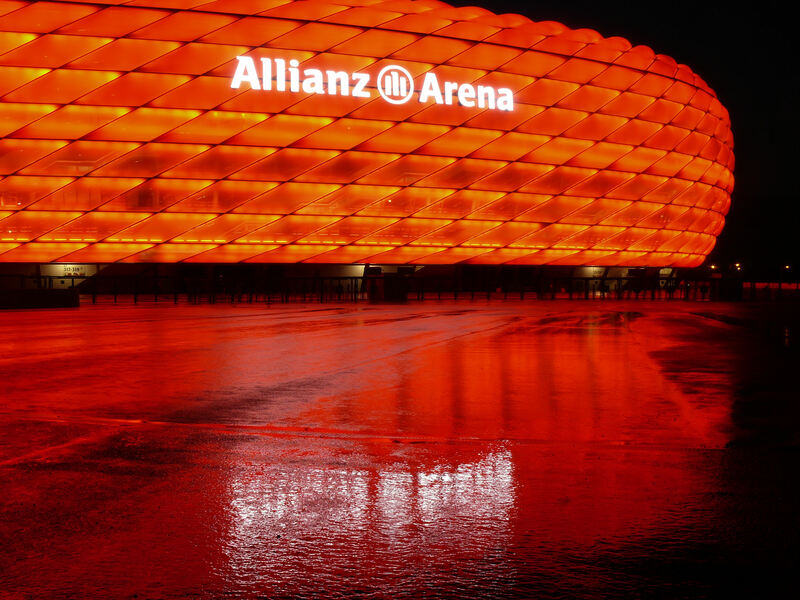 The Allianz Arena is covered in 2,874 of tufted translucent material (air cushions) and is the world’s biggest facade made of foil. 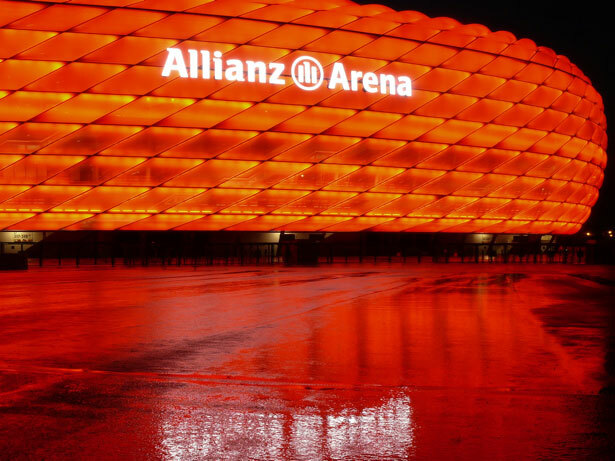 The stadium is lit from inside, resulting in the entire arena glowing. This is the location in which the 2008 Olympic Games took place. 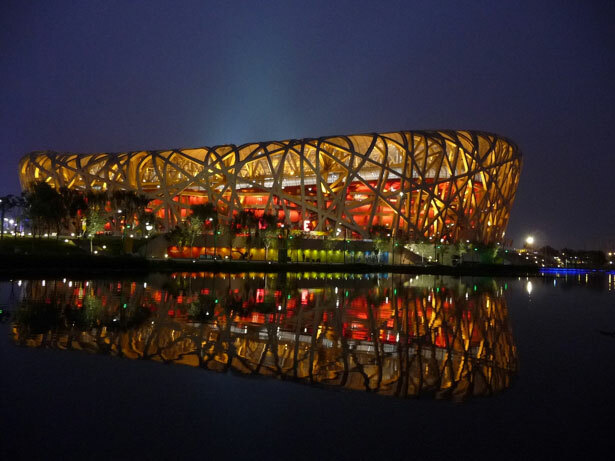 It is held up by the world’s largest steel structure that makes it appear as if it was supported by a sporadic massive web of rubber bands, earning the nickname “The Bird’s Nest”. 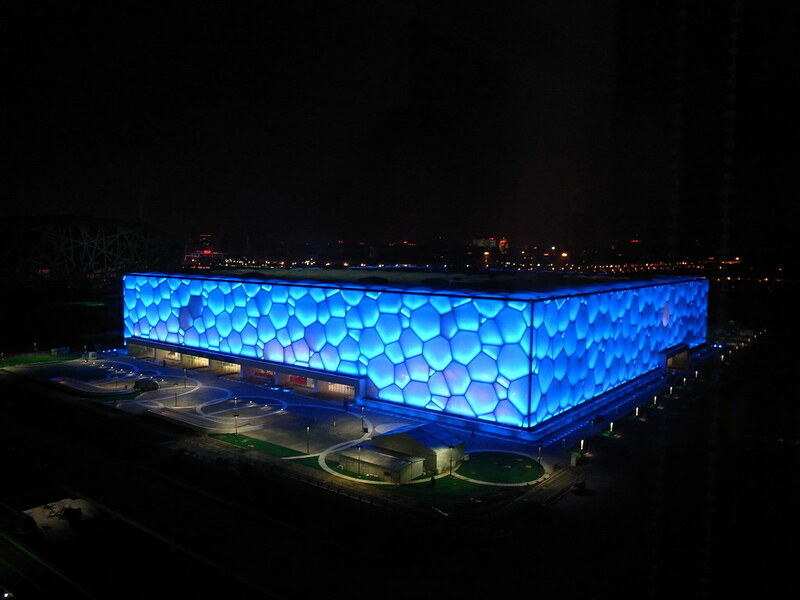 Another home of the 2008 Beijing Olympics. It consists of a structural design based on the natural formation of soap bubbles, giving it a random organic appearance. 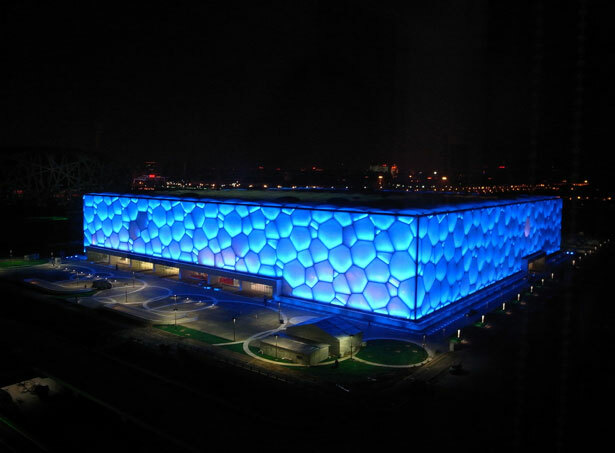 It is the largest structure made of ETFE (Ethylene Tetra Fluoro Ethylene), a translucent plastic-like material. 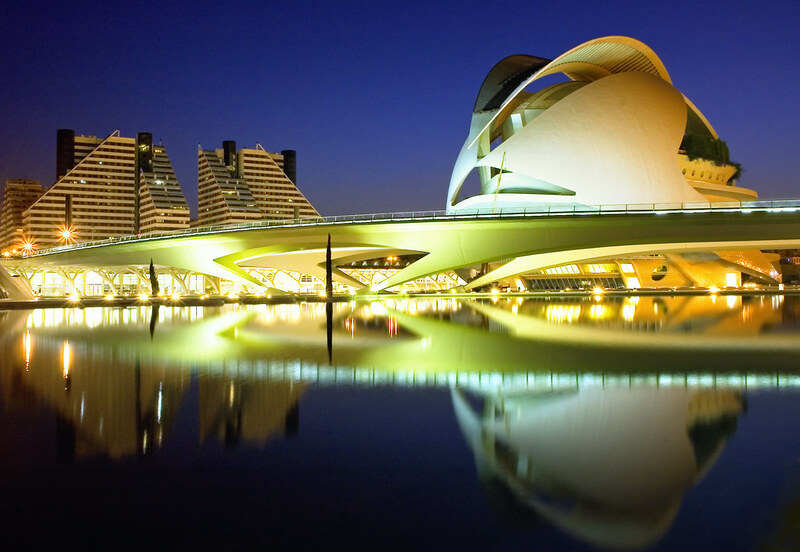 ETFE allows more light and penetration than traditional glass, decreasing energy costs by 30%. 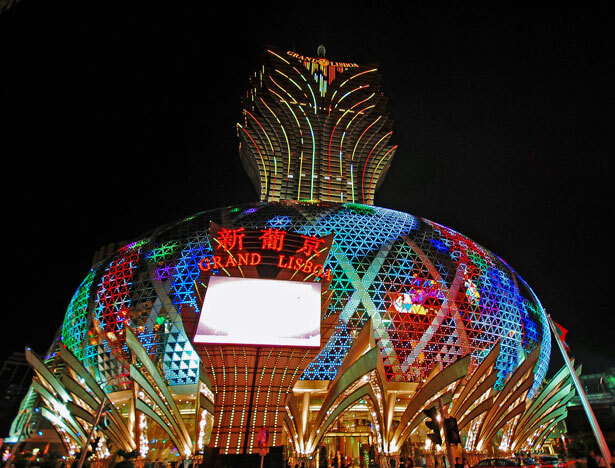 The casino was inspired by a yellow Lotus flower, the official emblem of the Macao SAR. 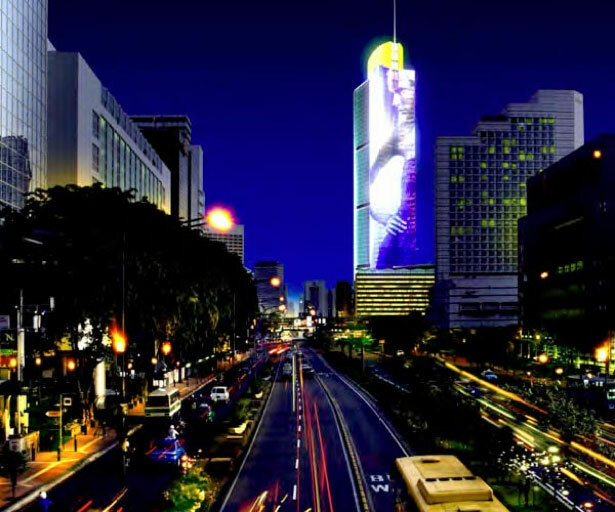 Additionally, it consists of an intelligent lighting system that combines 59,000 LED pixels and kilometers of LED lines, to create a giant video and light display that is capable of displaying more than 4.3 trillion colors. 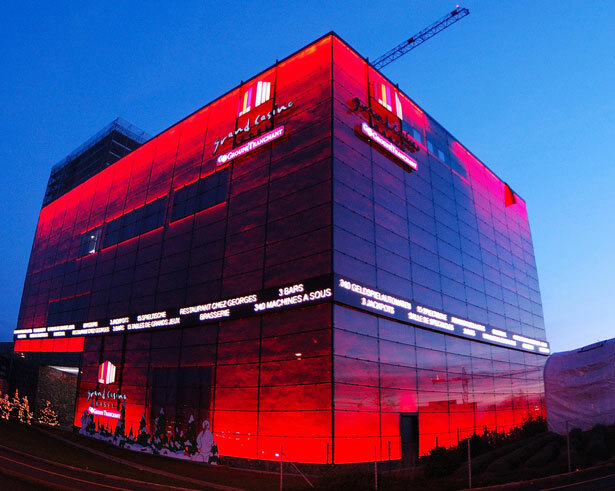 A zero energy media wall that features the largest color LED display worldwide and has the first photovoltaic system to have ever been integrated into a glass curtain wall, harvesting solar energy by day and using it to illuminate the screen after dark. 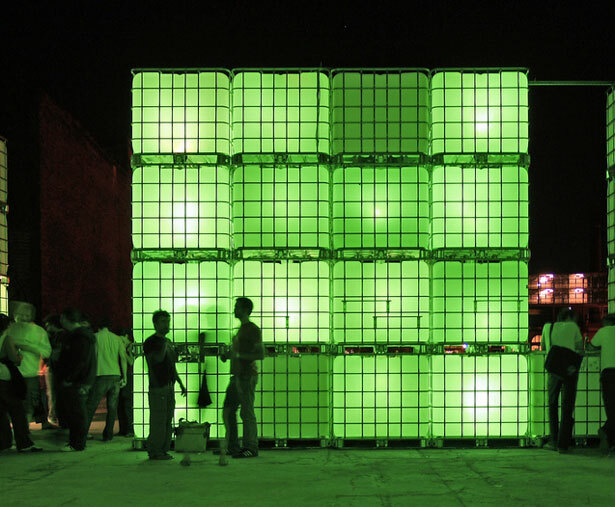 It consists of over 2,000 LED lights, resulting in a dynamic media display. 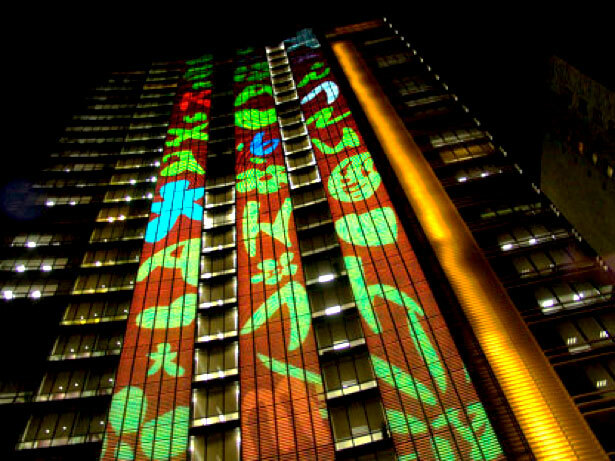 This large facade on an office building in Singapore consists of over 500 full color LED light units and a high-end LED screen. It serves as a low-resolution commercial LED billboard. 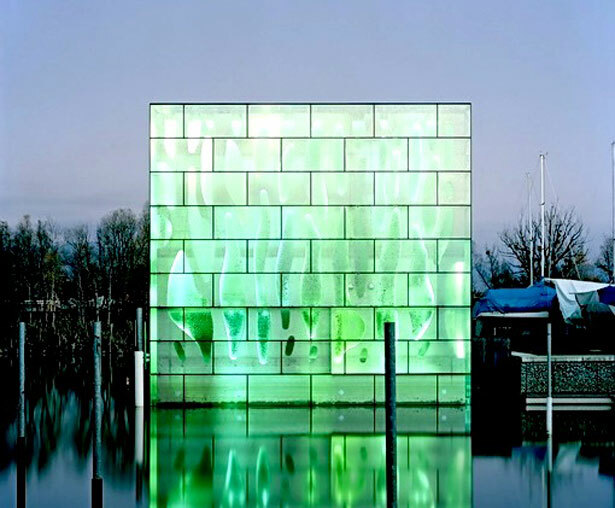 By day, this facade is conventional glass, in contrast to the dynamic communication format that it becomes at night. 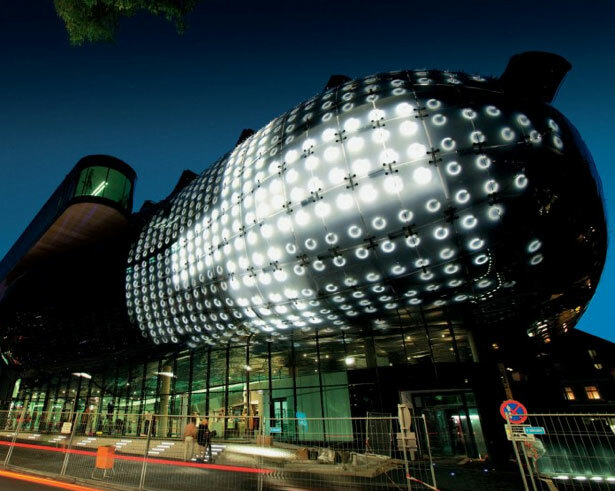 BIX is a matrix of 930 fluorescent lamps that is integrated into the eastern Plexiglas facade of the Kunsthaus Art Museum in Graz, Austria. 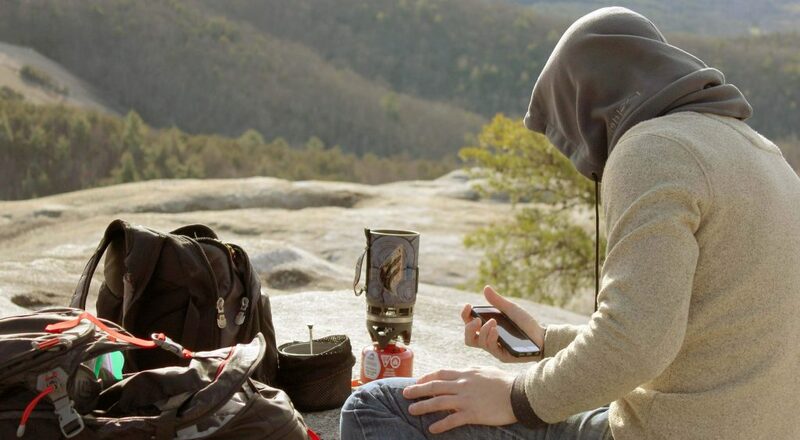 Each lamp is individually and infinitely adjustable. 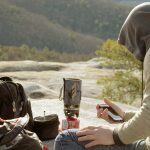 Luminosity can be varied between 0% and 100%. 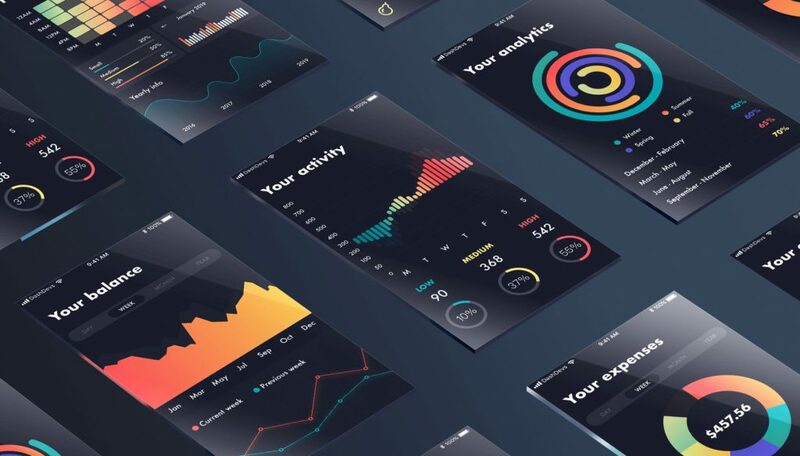 Schematic animations, graphics and alphabets can be displayed at a speed of 20 frames per second using a digital control system. This transcendent freeway in Melbourne is a perfect example of infrastructure and design meeting to produce an outstanding result. 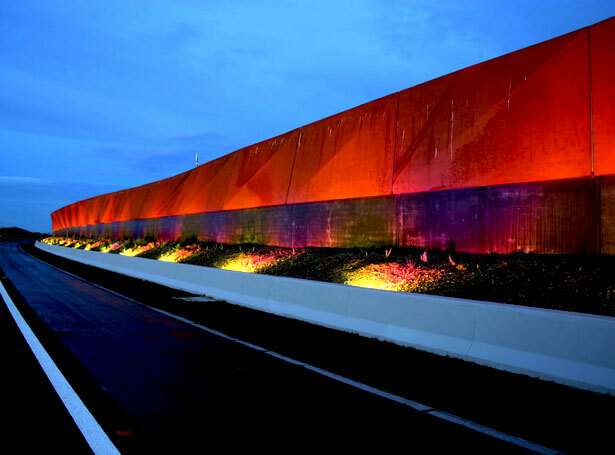 The Craigieburn Bypass includes a series of sculptural sound walls, a pedestrian bridge, design parameters for road bridges, crash barriers and retaining structures, which come together to create a unified freeway. 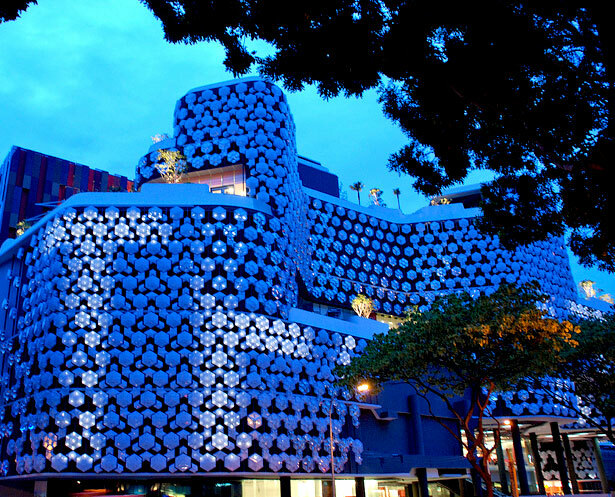 The tessellated pattern of plastic bodies that make up the facade of the ILUMA building in Singapore are superimposed by fluorescent lamps, producing a large display screen that resembles Las Vegas in the 1970’s. 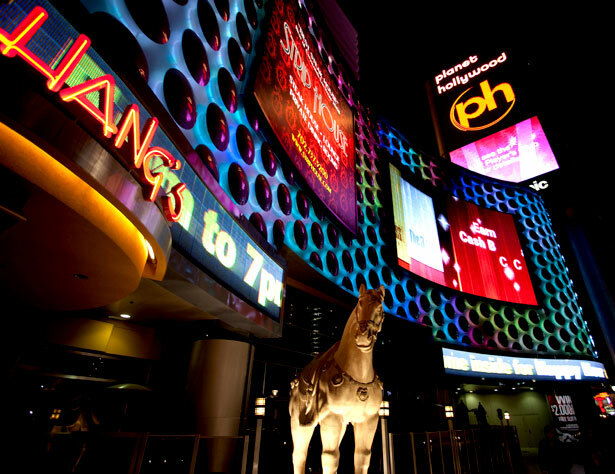 These shops are wrapped in huge PRISM display systems, with a 25 mm pitch that displays ads and multi-colored animations. 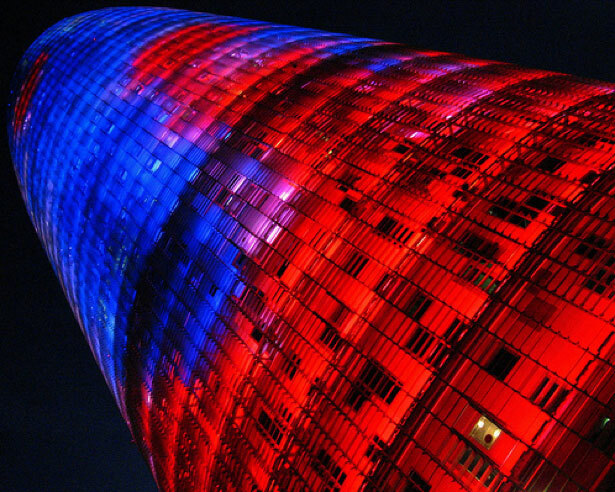 The surface is covered in 140k TOPLEDs that give the facade a very intense red light. At floor and roof level the LEDs are concealed in rails between glass and isolation, ensuring consistent illumination, regardless of a viewer’s angle. 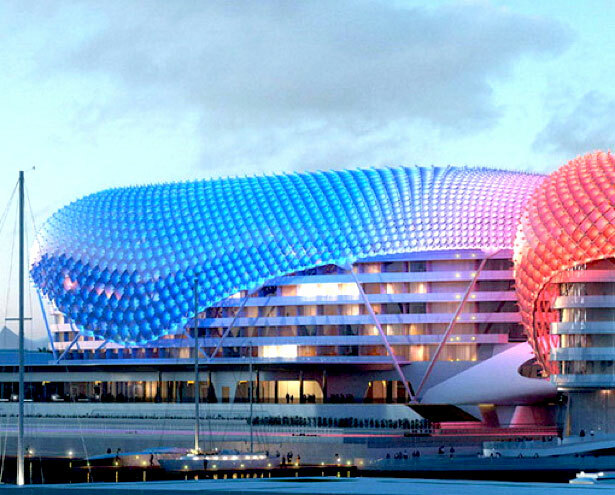 This 36 billion dollar hotel’s main feature is the color-changing, sweeping, curvilinear forms that sit atop the hotel towers. The curvilinear forms are comprised of nearly 6,000 pivoting diamond-shaped glass panels. 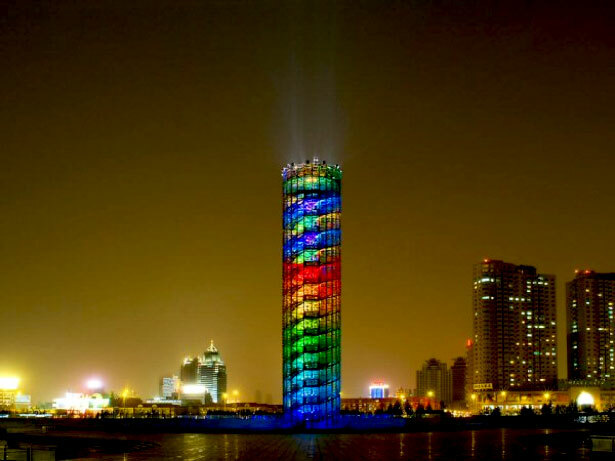 The 52-meter tall Full Moon Tower is illuminated internally by luminaires, creating a magical dynamic glowing and external starburst effect. The tower is equipped with spiraling stairs, allowing visitors to climb up and observe their surroundings. 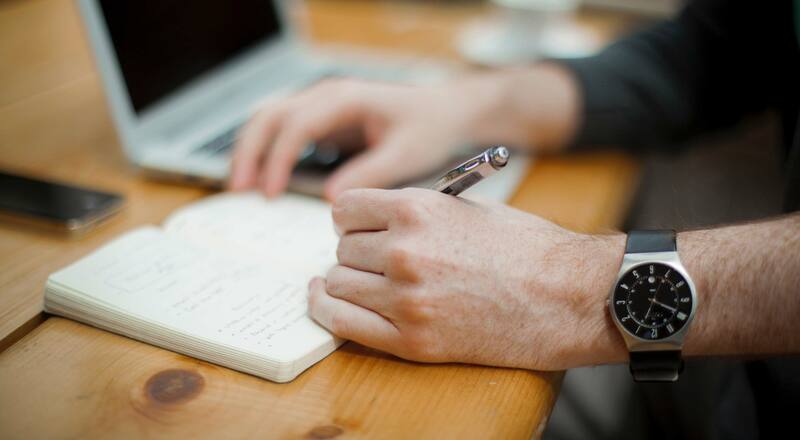 This is a research project on the advancement of conventional light and building automation engineering. 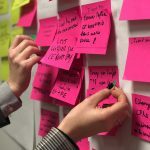 It was developed for a 45 story, 85,000 meters-squared office in Frankfurt however, it was suspended due to administrative difficulties. 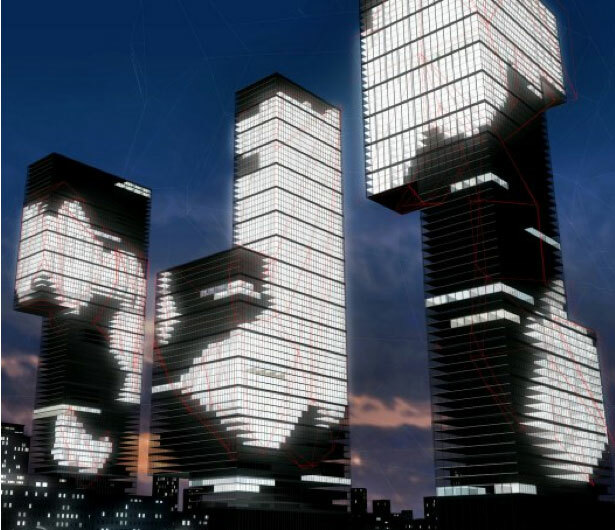 The concept of NIX uses the singular office light volumes as base units to implant three-dimensional holographic images onto the body of office buildings. 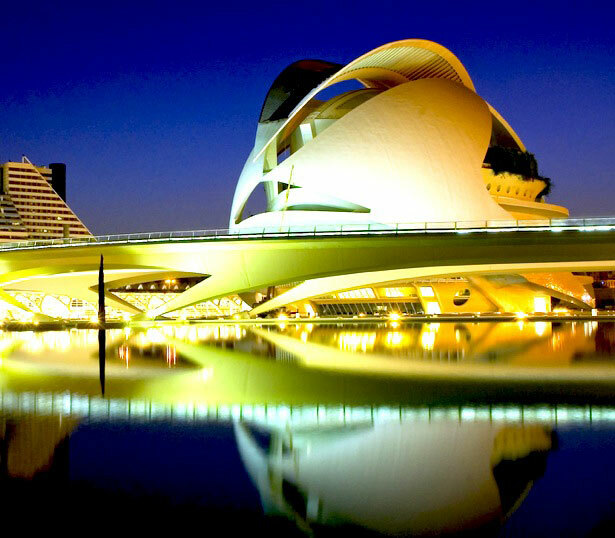 This occupies a state-of-the-art building with an animated facade that is a true visual delight. There are also folded aluminum louvers (“seagulls”) on the building’s outer glass curtain wall. 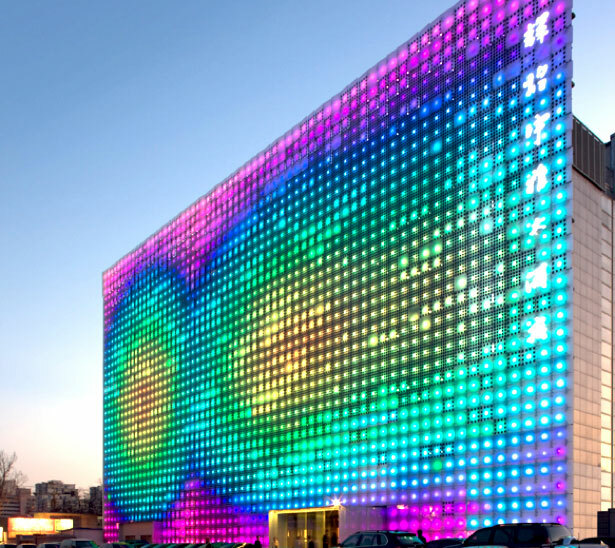 This building consists of 104 Color Kinetics’ ColorBlast 12 systems that display a series of dynamic color-changing effects, including color waves and other spectacular combinations. 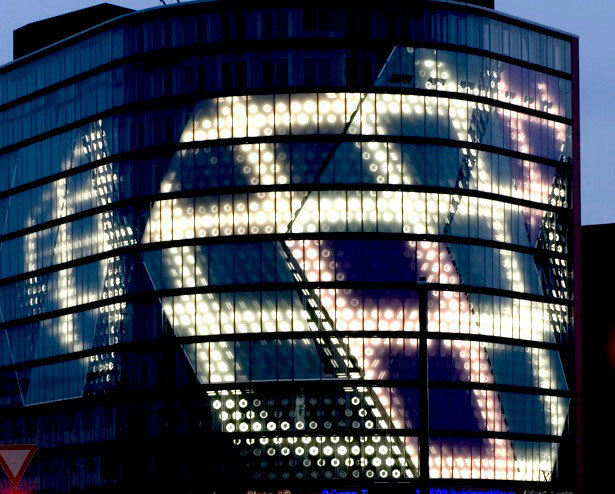 For eighteen months, the eleven-story glazed main facade of the Berlin office building, Potsdamer Platz 10, was graced by the light and media art installation SPOTS. 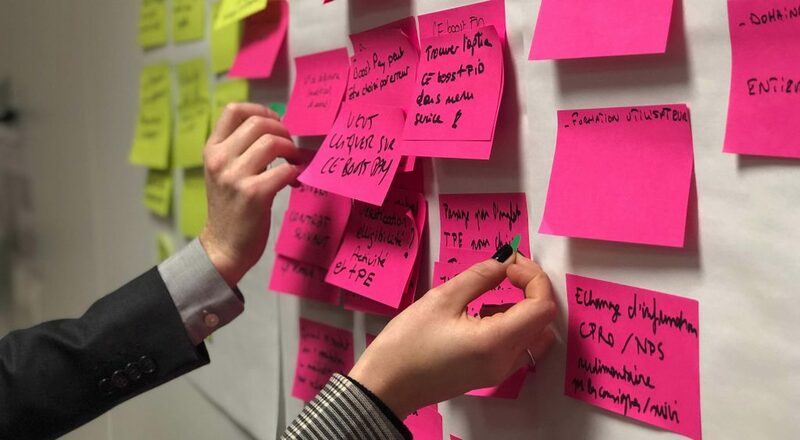 SPOTS consisted of roughly 1,800 fluorescent lamps that were integrated into the ventilated glass facade of the office building. 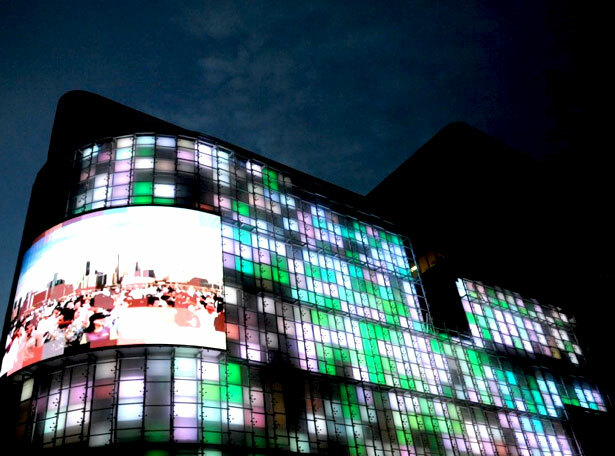 With the central computer system, that controlled the installation, one was able to manipulate all of the lamps individually, resulting in designs, graphics and animation sequences being recreated on the facade as moving luminous images. 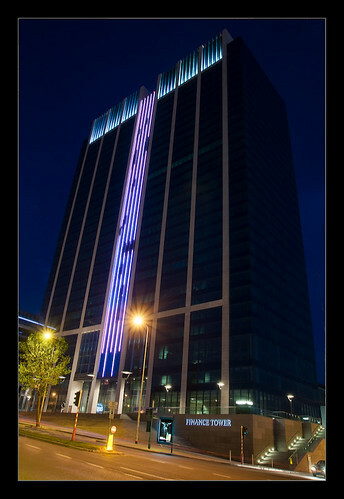 The 145-meter high Dexia Tower in Brussels, Belgium, lights up the sky every night during its spectacular light show. 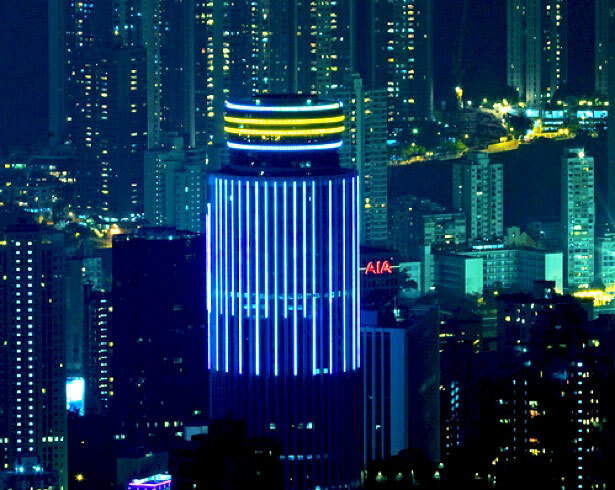 Every night, up to 4,200 windows are illuminated by RGB-led bars. 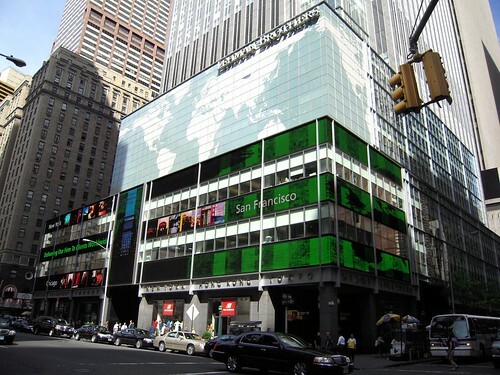 This corporate installation in Times Square is a huge animated sign that is wrapped around the Lehman Brothers building. The sign displays a mix of animation, information, messages and more. 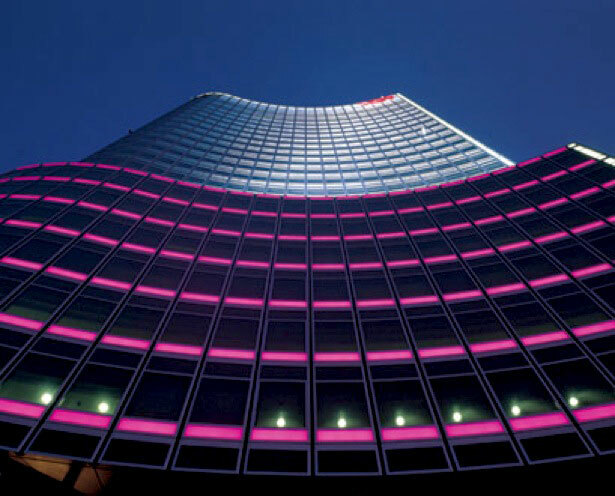 The Kumho Headquarters located in Seoul, Korea, consists of 69,000 LEDs covering a combined surface area of 15m x 94m (49 x 308 ft). Featuring real-time 3D graphics and a human motion tracking system, this structure is a vortex of visuals and sound feeding off its surroundings. 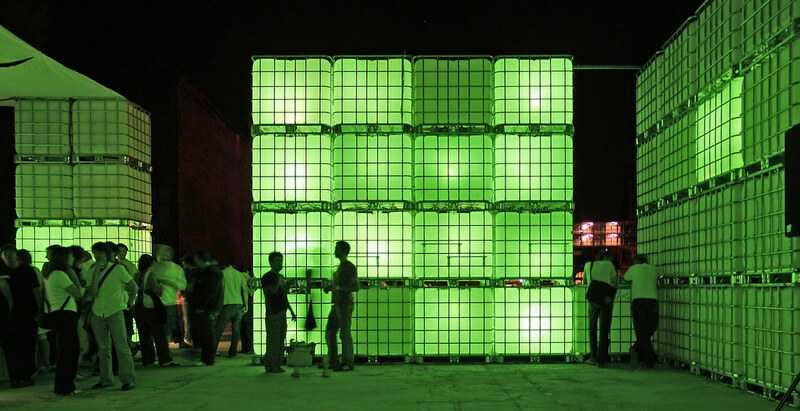 The LightScraper also serves as a musical instrument, emitting melodies influenced by the people’s locations. This was constructed around the face of the Rundle Street U-Park. 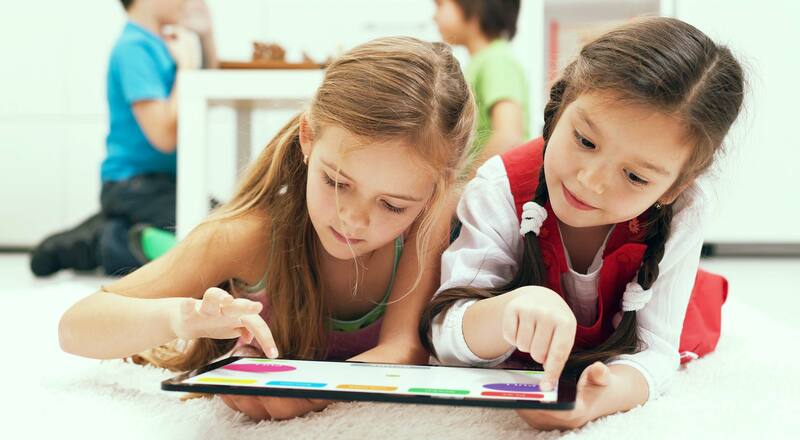 It is a digital canvas that uses LEDs to illuminate 748 square panels. 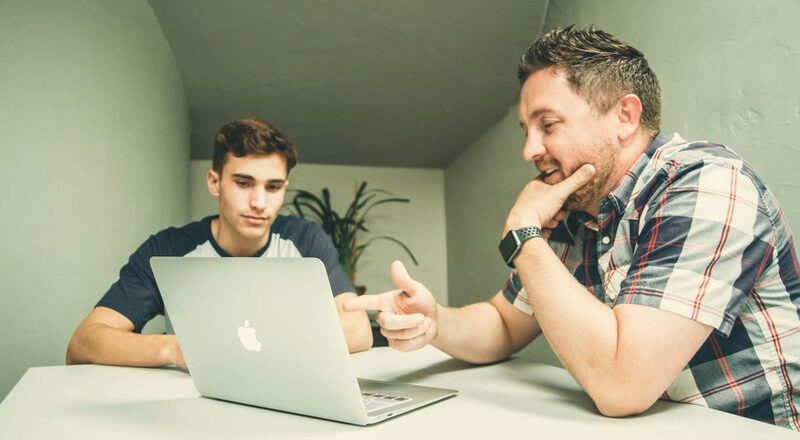 This delivers a unique platform for art. An LED spherical module that contains 189 strings that each hold 64 spheres totaling 9 meters in length. 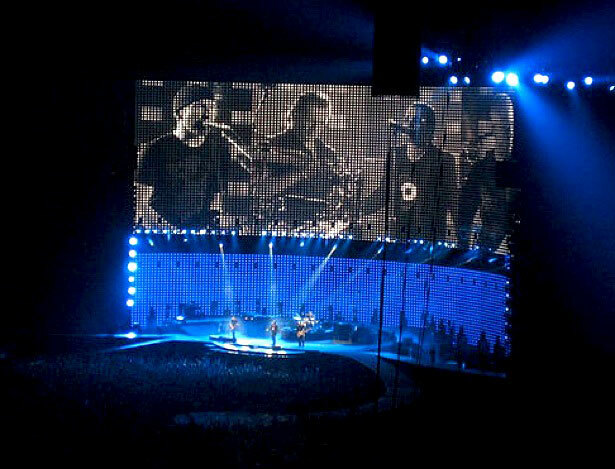 It was used as a backdrop for U2 concerts forming 3-D curtains allowing fans a clear view of the projections displays, regardless of their location. 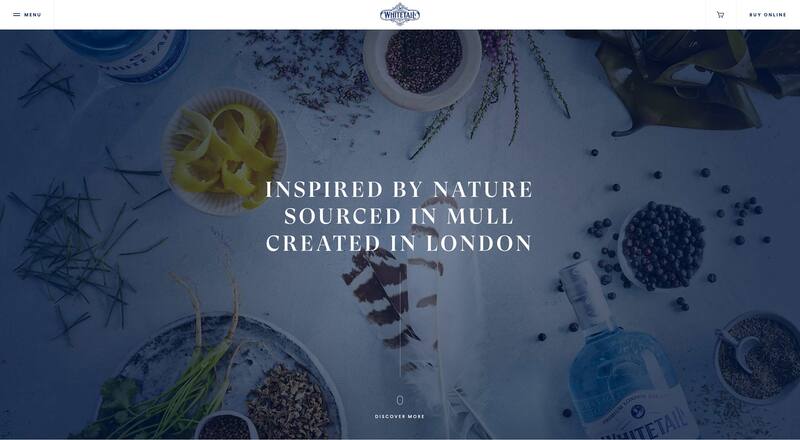 It is a perfect example of an incorporation of light and video. 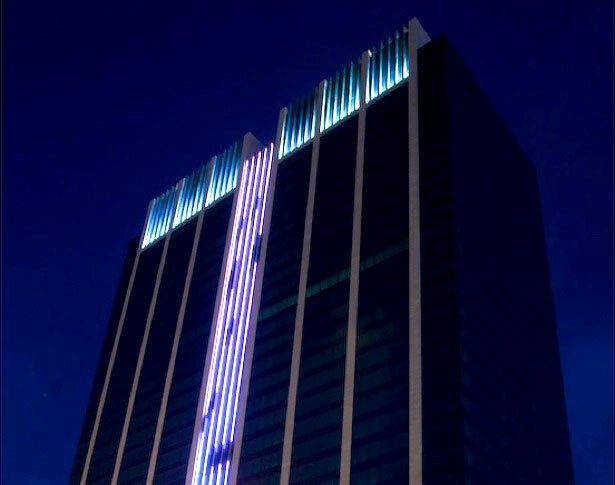 This building incorporates Laservision 40 Watt Stella on the building’s rooftop, enabling animated beams of light to span the harbor. 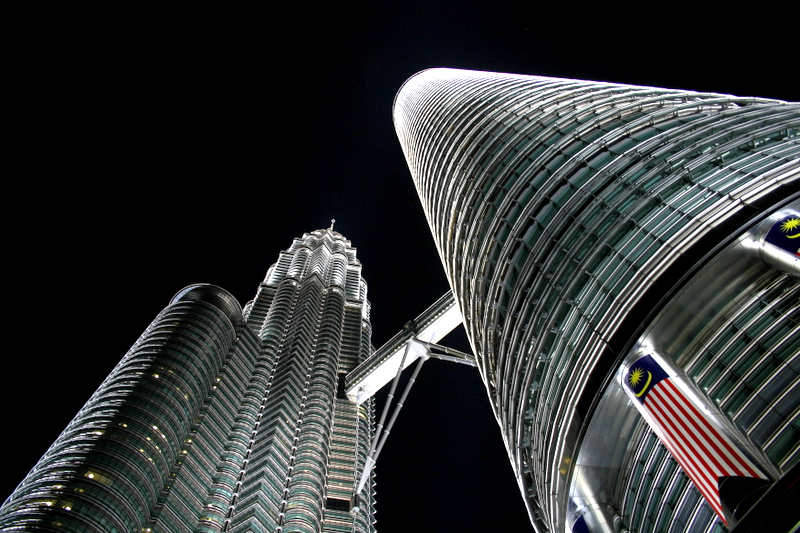 The tallest buildings in the world came alive when it was incorporated with a display of scintillating fireworks and an amazing light and sound show. Some of its attributes include: Twelve 7kw rotating projectors, a 30m X 60 m (100 x 200 ft) suspended screen and a projection distance of over 200 meters. A building surrounded by a glass shell that incorporates a 5,100 square meter (54,895 sq. 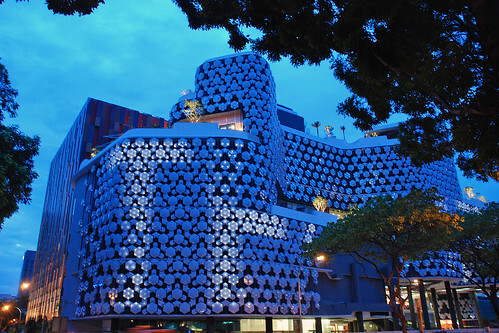 ft) LED facade. 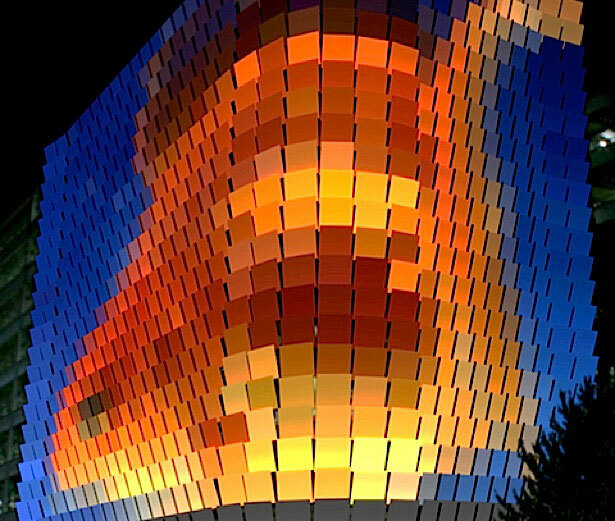 This color changing facade is a striking highlight of the Linz cityscape. This building is still under construction. It will be a 343,740 square meter (3.7 million sq. 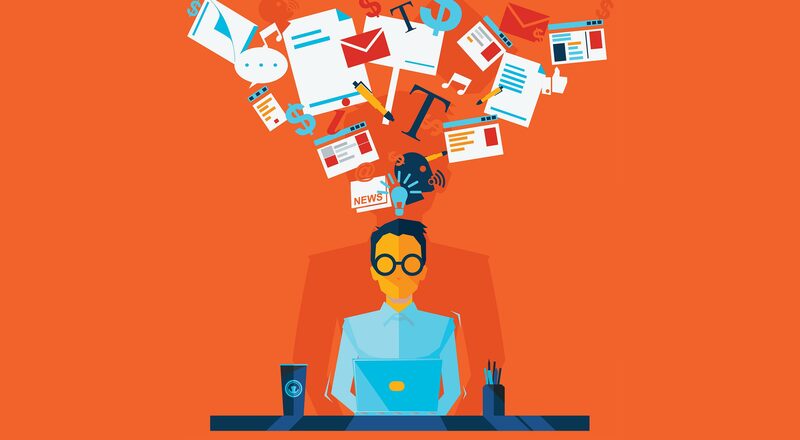 ft) mixed-use center that features retail stores, a hotel, and 57-story office tower. The tower’s entire front facade will be covered with at least 5,500 square meters (60,000+ sq. ft) of LED arrays. The buildings crown and side walls will also feature LED lighting. 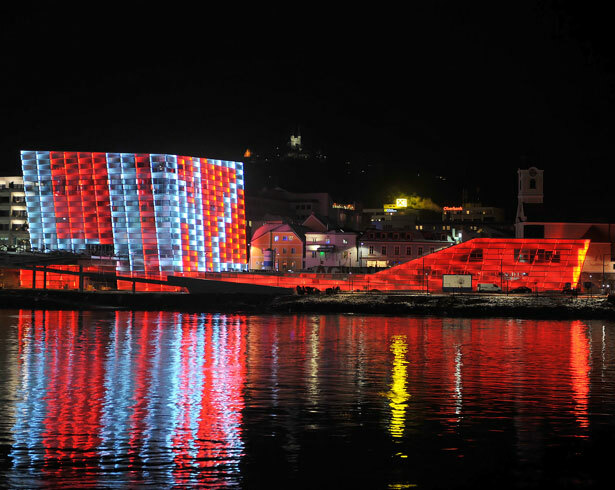 Located on the harbor of Lake Constance, this building is composed of 12 integrated RGB LEDs that can display over 16 million colors, creating dynamic color sequences at night that bring the facade to life. Covered in several light-boxes that hold 500 ColorBlast® 12 units. Each light box is individually controlled, allowing for a series of eight intricate light shows. Between 2005 and 2008 the Brussels Finance Tower underwent a serious renovation that included replacing the building’s old facade with a light blue and white curtain wall. 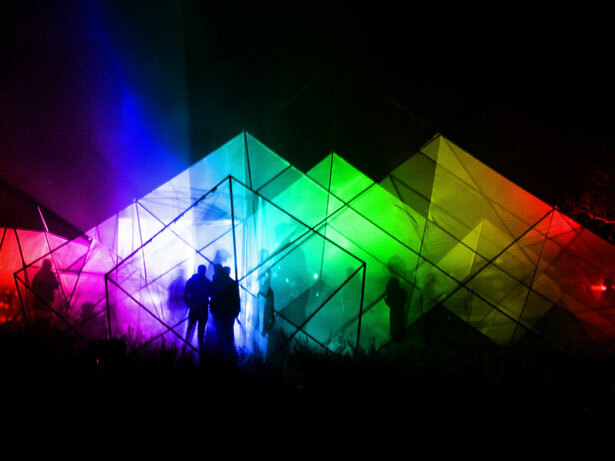 Berlin’s open air club, Kubik, is a perfect combination of illuminated cubes, visual games and electronic beats. It was inspired by the concept ‘big tanks’. 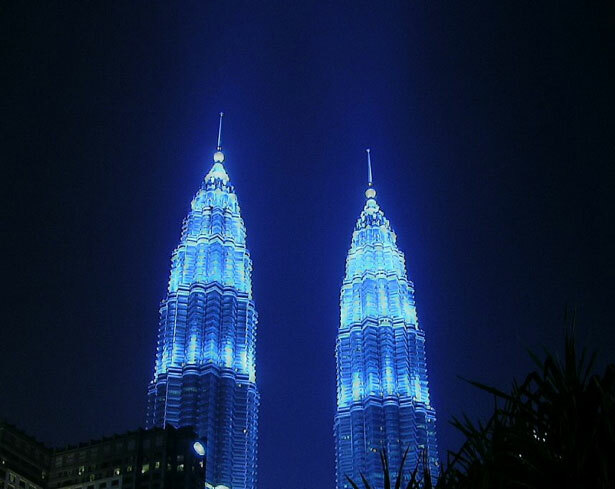 Consists of over 4,000 LED lights illuminating the sky at night. 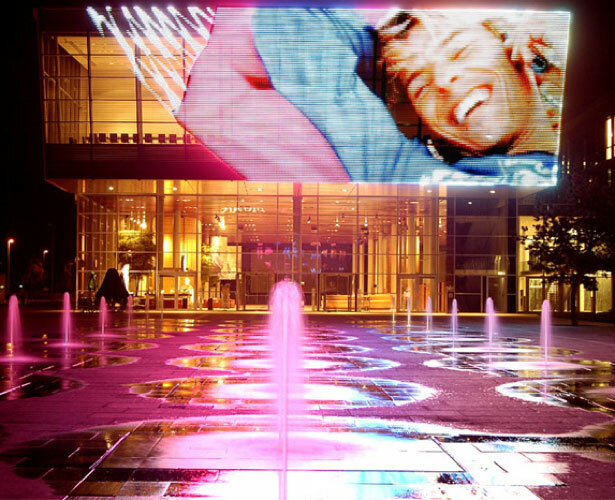 The world’s first transparent media facade exists at T-Mobile headquarters on a 300 square meter (3,230 sq. ft) surface. 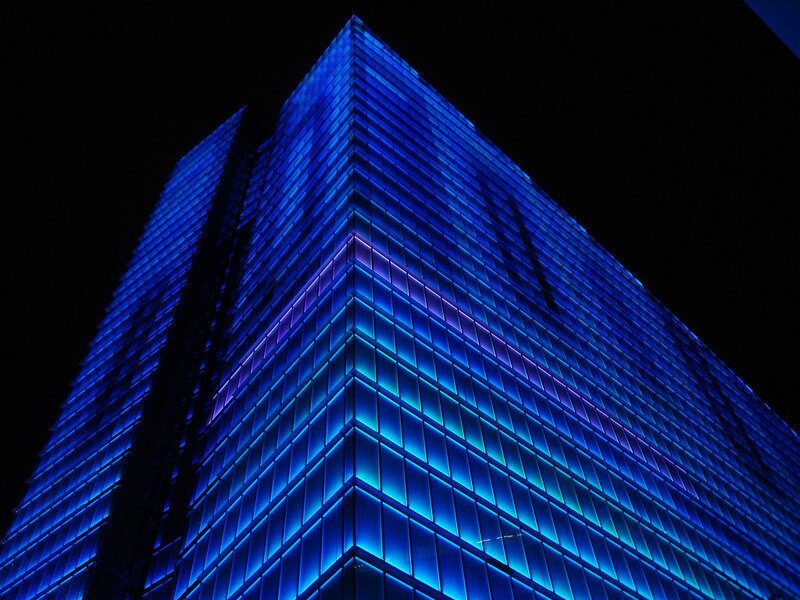 There are over 250,000 LED’s within the vertical beams that sit in front of the glass facade. Which ones are your favorites? If you know of any other good examples, please share them with us in the comments area.